Texture is such an important factor of how much food is enjoyed. It's been shown that the brain releases more dopamine (feel good hormone) when eating crunchy foods than soft and chewy foods. Not to mention salt with chocolate is undeniably addictive. Wonderful review and I can't wait to try this myself! I LOVE THIS BLOG! We also do something similar to this. 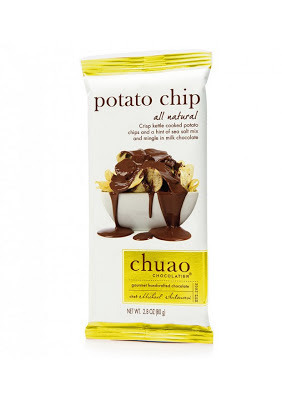 We are the first chip company in Hawaii and use our all of our chips (sweet potato, taro, potato) in various chocolates. I have posted our link below if you are interested.